Its summer the weather is fine and watermelons are plentiful! 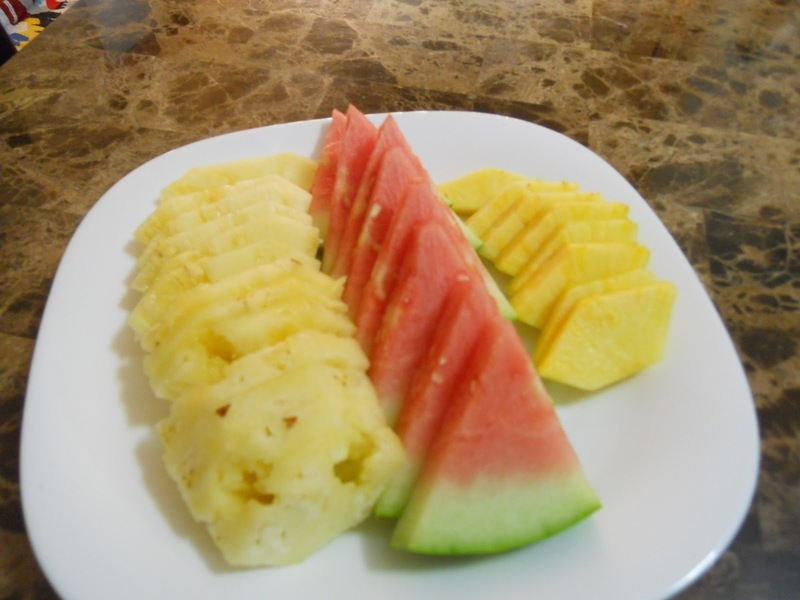 I love watermelon, But I have to admit after the first half, I am looking for ways to get rid of it! Yummy as it is, just plain fruit gets kind of boring after awhile. Being it is the weekend, I thought I would focus on drinking it. 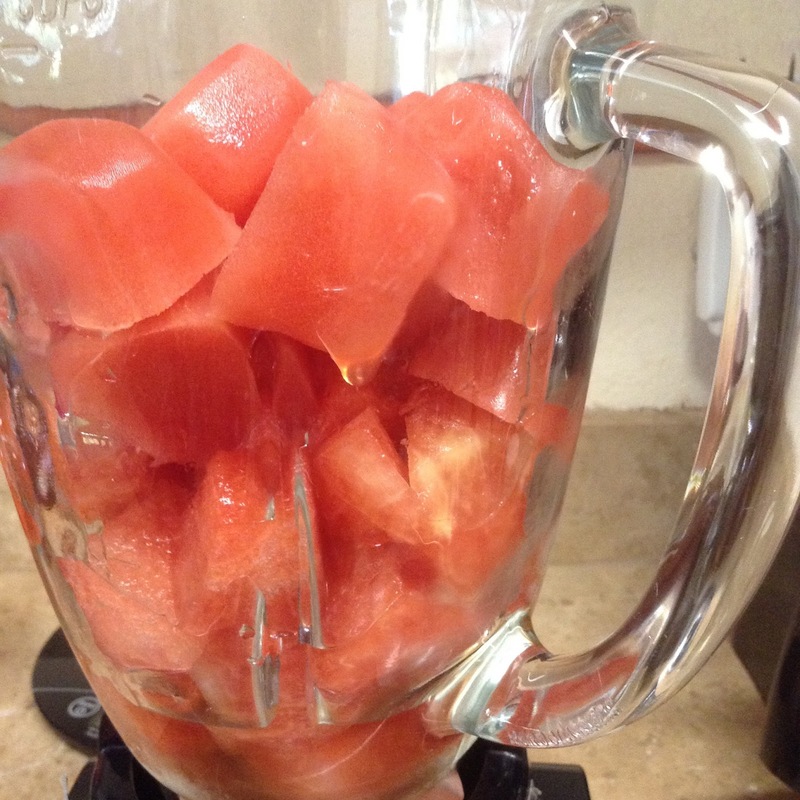 One of the quickest and easiest ways to use it is just to fill up the blender with chunks of the watermelon, seeds and all, add a little water, a small chunk of bit of ginger, peeled and roughly chopped, some sugar if you like and blend away for about 45 seconds. 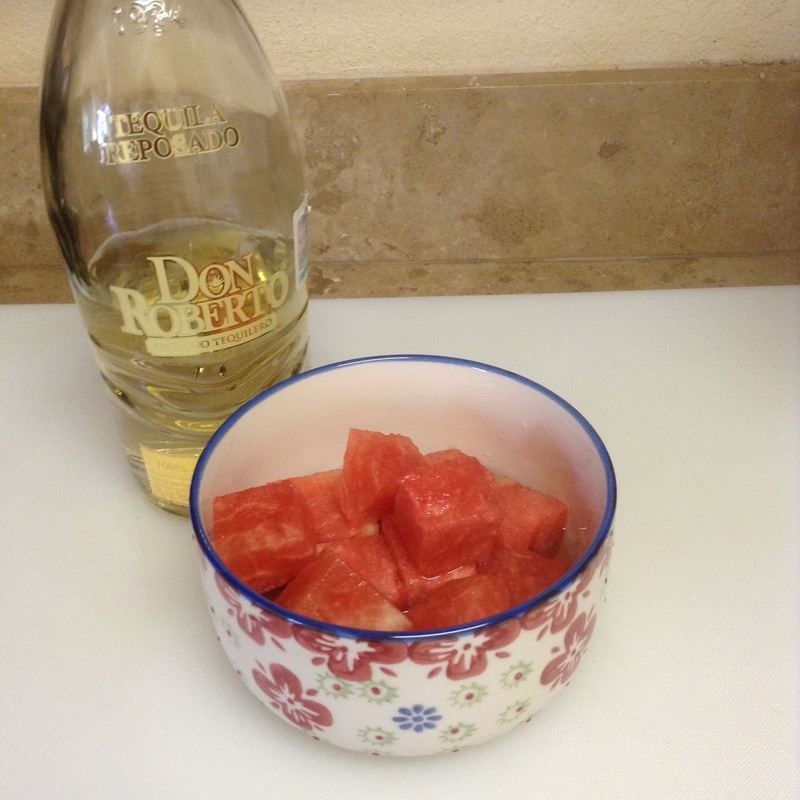 Strain the mixture thru a fine mesh sieve and there you have it, Watermelon Agua Fresca!! 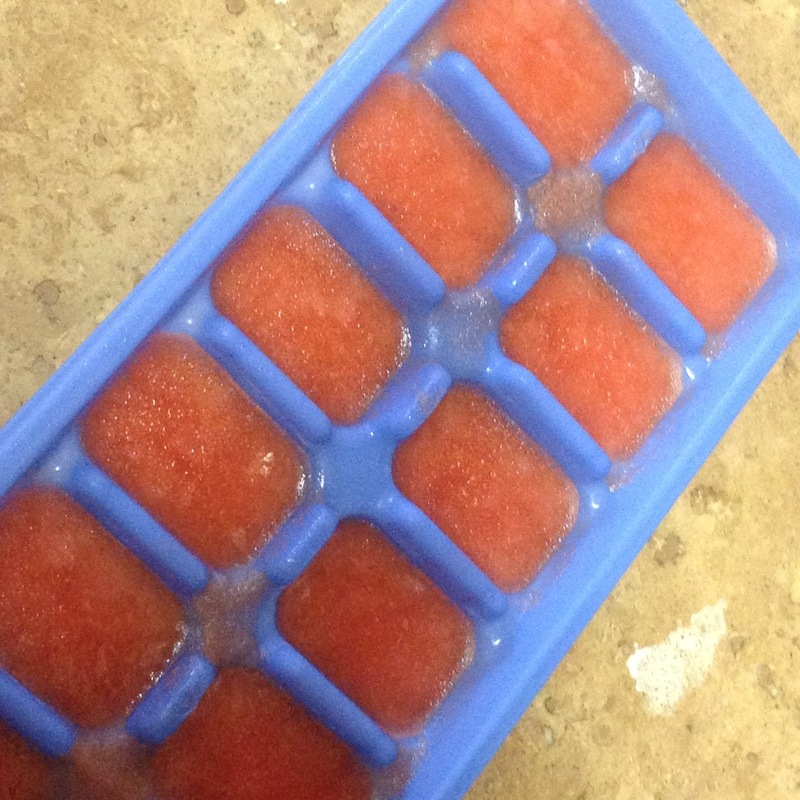 You can then drink the juice, or freeze it in ice cube trays, then put the ice cubes in the blender for a watermelon slushie. 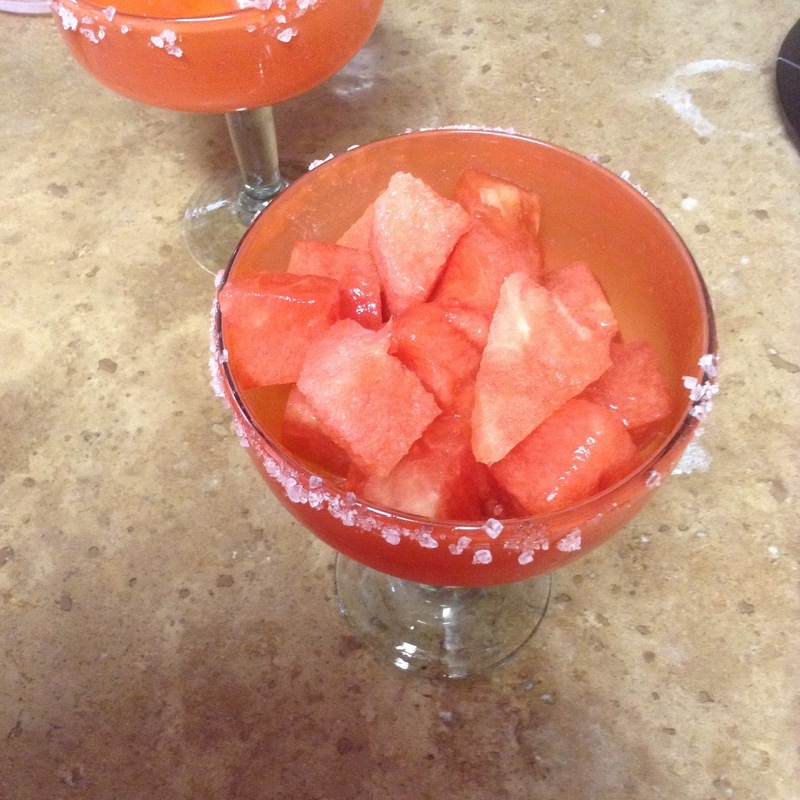 A great after work treat, and if you have had a stressful day, add a splash of tequila and you have a watermelon margarita! 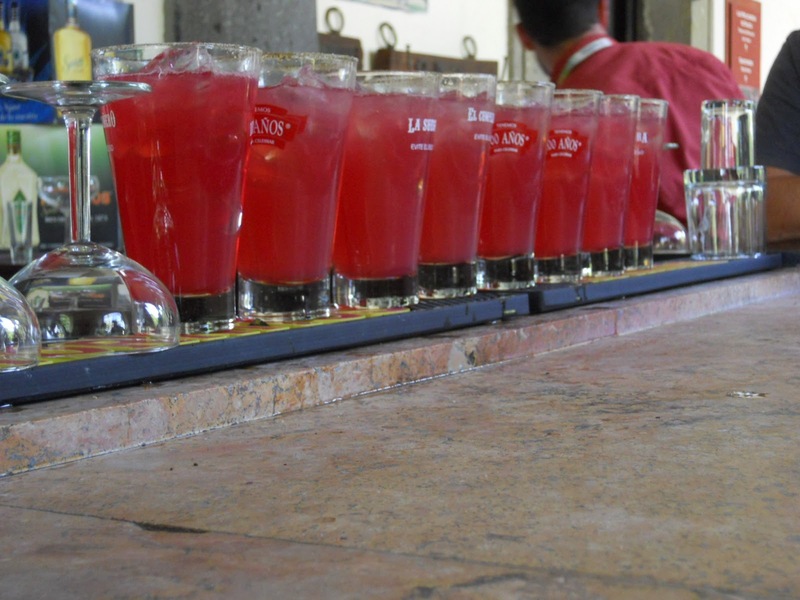 Oh, if you want the flavour of a watermelon margarita but don’t want to go thru all the effort, just cut some cubes (abut 2 cups), add 1/4c silver tequila and 1/4 cup simple syrup or a couple tablespoons of sugar. Let it sit for a few hours, stirring every once in awhile so the tequila gets into all the pieces. 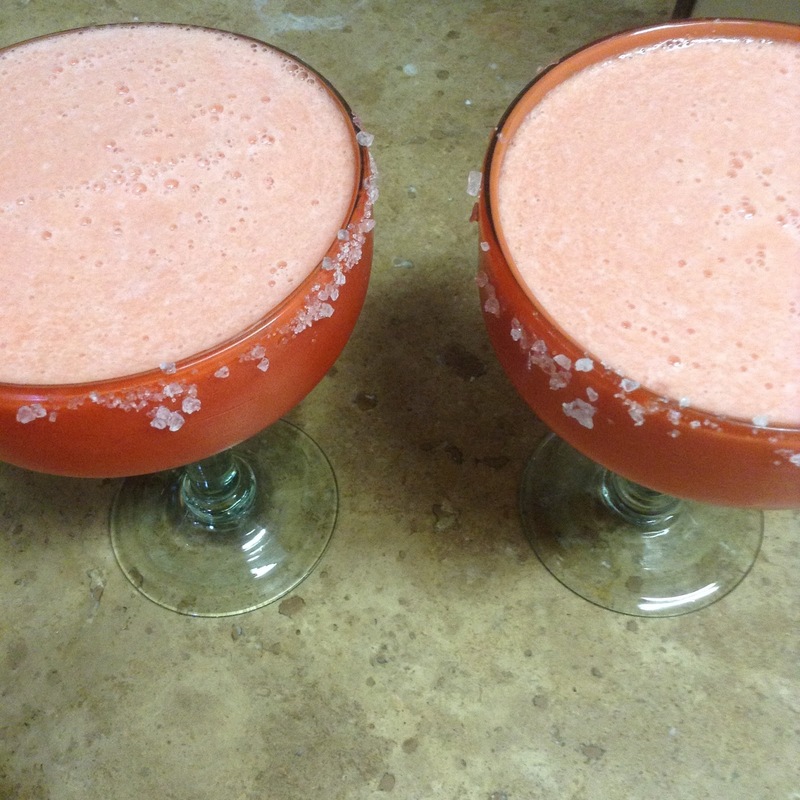 Serve in a Margarita glass with a salted rim and a fork. There you have it! Enjoy your weekend, and remember to eat and drink responsibly. I need to make this…stat.